Trans-trax: Transport museums at transport hubs. Transport museums at transport hubs. The Britons have a tendency to place nostalgia items of one sort or another into specialist buildings to be viewed by the great British public on a specific day outing. These museums can be incredible places offering marvellous experiences concerning our history and heritage. The Science Museum in Kensington, London is a case in point. However, it is only one and does not dedicate itself to transport specifically. 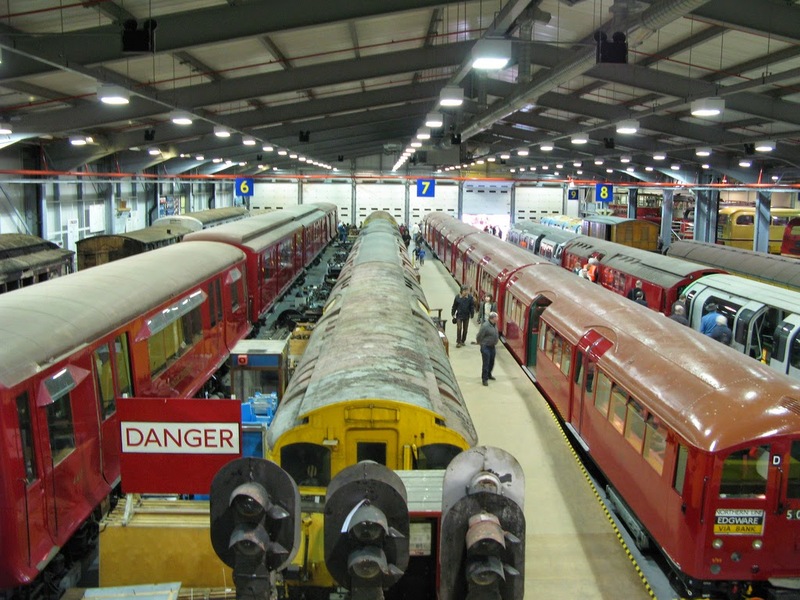 There are many transport museums in the UK devoted to all the types of transport both civil and military as well as a multitude of websites such as The Transport Archive. The number of Heritage train services maintained and operated by volunteers is highly impressive. This is good for the country, for transport buffs and casual enthusiasts, the tourist industry and so forth. The generations which grew up with the train services provided by steam trains is getting on in age. That does not mean, however, that their allure is diminishing.Quite the contrary. Steam trains hold an interest for "old folks" and youngsters alike. The proof is in the number and variety of heritage railways that exist. The Ravenglass to Eskdale Railway, The Ffestiniog Railway (both narrow gauge), The Bluebell Railway or The Keighley and Worth Valley Railway (both standard gauge), are examples of some which have been kept alive for many a year despite not being needed for the original function for which they were built. The information provided by the Heritage Railway Association on this link illustrates the size and importance of all the railway groups. The site gives much more than for those who have just a passing interest in railway history. A list of all Heritage Railways both standard gauge and narrow gauge can be found here. These cover all parts of the United Kingdom and Ireland. Two are not strictly railways but museums and should be highlighted for their importance and attractiveness. They are The National Railway Museum (or here its own website) in York, and the National Tramway Museum (or here its own website) at Crich in Derbyshire.This latter is less usual as it includes about 70 different kinds of trams which had a short life in this history of transport in the UK - now they are being revived but only after having been ignored for fifty or sixty years. The most well-known and complete transport museum is without doubt the London Transport Museum at Covent Garden in the centre of London. Obviously, this is in a well visited area of London so is a great attraction for all members of a family.This brings together a large collection of vehicles and memorabilia in a well laid out site. A well stocked shop gives the enthusiast an opportunity to buy all sorts of books and other articles related to transport in London. 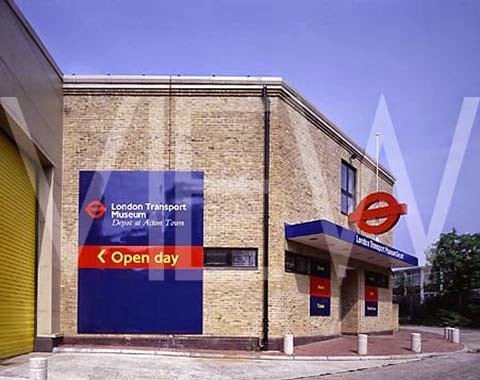 What is not generally know or realised is that the main premises for trams, trolleybuses, buses and tube trains is in the London Transport Depot at Acton in west London. Just the photograph on the web page gives you an idea of the richness of the collection. The downside of course is that you have to trek out to Acton while the Covent Garden site is very handy. This makes it less attractive for the casual visitor or those with families. An added problem is that the depot is not open every day - you have to arrange visits. It should also be mentioned that the site is not well advertised, not least by London Transport itself. On these islands where water has been so important in our history, most museums(or collections) refer to buses and trains while just a few look at water transport on the canals, rivers and through the ports.The most important sites are at the National Waterways Museum Ellesmere Port (Cheshire) at the junction of the Shropshire Union Canal, The Manchester Ship Canal and the River Mersey; the Canal Museum at Stoke Bruerne (Northamptonshire) next to the Grand Union Canal. What used to be the third part of the museum is now the Gloucester Waterways Museum at Gloucester which sits on the junction of the River Severn and the Gloucester and Sharpness Canal. The splitting of the group into three parts was principally for economic reasons. However, for transport on the high seas the National Maritime Museum at Greenwich, London, is the point of reference. This is the list of all 40 Maritime museums as provided by Wikipedia. Before the invention of the horse drawn buses and trams, coaches of one sort and another were the order of the day. Ordinary people used Shank´s Pony (i.e. on foot) to travel to the different points while those with some money benefited from carriages and stagecoaches. This meant distances travelled were difficult to cover. The first improvements came with the introduction of the Mail Coach from 1784 and the better roads constructed by Telford and surfaced by MacAdam in the first years of the 19th Century.With the advent of the canals and then railways, communications were improved tremendously and so the focus came to be getting access to the railways stations. It is not the purpose of this article to explain travel but indicate where interested readers might obtain more information. 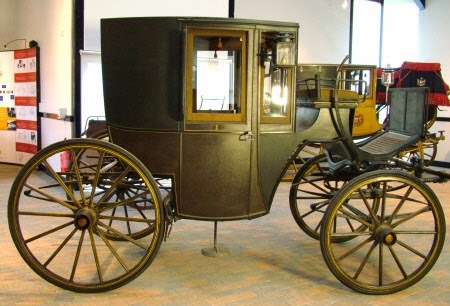 For the different types of horse drawn carriages and coaches there are several collections. Some refer to the aristocracy´s travelling vehicles, including the British Royal Family, while others are of a more general nature. The Tyrwhitt-Drake Museum of Carriages:opened in 1946 at Maidstone(Kent), is most worthy of mention. It was the first of its kind in Britain and is still considered to be one of the finest in Europe. This was a collection made by Sir Garrard Tyrwhitt-Drake, twelve times Mayor of Maidstone, during the first half of the 20th Century when he realised the age of horse transport was passing and about to be lost. The Mossman Carriage Collection, situated at Stockwood Park, Luton (Bedfordshire) houses a large collection of carriages from the 18th, 19th and 20th Centuries including those constructed for the film industry. 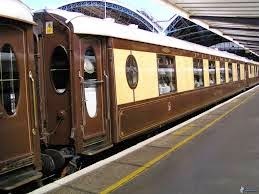 The accompanying interesting article explains(with photographs) all about the different types of coaches and carriages used by a wide rage of people from the aristocracy to the man-in-the-street. It includes different versions of the Landau, the Barouche, the Brougham, the Britzschka, the Travelling Chariot , the Hansom and many others. There are even airfields turned over to old aeroplanes showing the dramatic development of this means of transport in the only century of its existence.One of the most interesting air transport sites refers to British Airways and its predecessors BEA, BOAC, BSAA, Imperial Airways and others here. However, the purpose of this blog is to mention physical sites not websites. 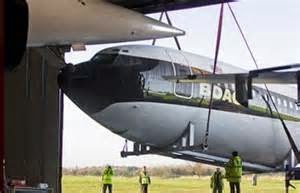 The Brooklands Museum at Weybridge (Surrey) has an interesting collection of aircraft from all eras of manned flight, including a BAC 111, and Vickers planes such as the Viscount, the Vanguard and the VC10 among others, and not least Concorde. There is even a replica of the Vickers Vimy used by Alcock and Brown to make the first ever transatlantic flight in 1919. There are a lot of military aircraft as well. This site, it must be remembered, was where the world´s first motor racing circuit was opened in 1907. Brooklands also incorporates at Cobham Hall in Weybridge The London Bus Museum with 35 vehicles covering the period 1875 - 1979. The National Museum of Flight at East Fortune (East Lothian)(to the East of Edinburgh) offers another fine mixture of military and civil aircraft but does include, more importantly, memorabilia. Imperial War Museum Collection at Duxford (Cambridgeshire) ; though the Imperial War Museum devotes its efforts to the military conflicts in the 20th Century at Duxford there is an interesting collection of civil aircraft as well. 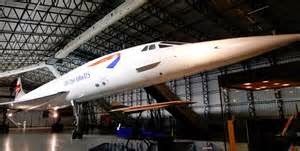 The other aerospace museums in the UK seem to be devoted exclusively or nearly exclusively to military aircraft which is not the aim of this blog . All, however, seem to devote themselves to showing off vehicles, whether civil or military, but not to other memorabilia. Many of the museums have great gems inside them but their attractiveness can vary greatly. Most are victims of volunteerism - which means that so much depends on the work of volunteers and enthusiasts. Some are very well-run, well marketed and provide an interesting and inspiring insight about how transport developed in this country. Others, unfortunately, show the limitations under which the volunteers work - the lack of space, the lack of working volunteers, and without doubt the lack of funds. All, however, should receive our support as their work will be much more appreciated years ahead when the exhibits of our transport heritage become less and less available. In a moment of reflection you will realise that the effort, devotion, interest and funds available give us an idea of the interest of a passive public - those who wish to see what is on offer. However, if you consider that transport (both passengers and goods) existed before the advent of canals then you can see the lack of information, sites, museums etc. 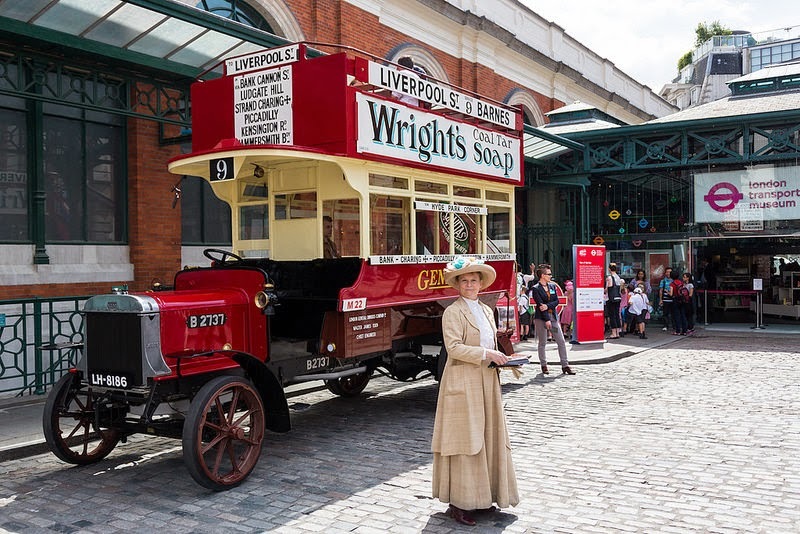 As was mentioned previously about The London Transport Museum in Covent Garden, location can be a big determining factor in the success of many of these museums. Covent Garden is an enviable location - right in the centre of the metropolis in an area of large numbers of tourists. Add that the contents include buses and underground trains which is no mean feat to get them there. It must be remembered that the location itself is determined by different factors. Planes fly with many museums keeping them in good order so they can participate in memorial flights which dictates an aerodrome which in turn means an out-of-town site. Horse drawn carriages and coaches tend to be very old so are treated with kid gloves and only taken out for occasional exhibition. As was mentioned before, the owners, or those who commenced the collections tend to be rich enthusiasts, or aristocracy who have inherited the heritage, or powerful people(such as politicians) who can command the means to make such heritage collections come to fruition. Similarly Water Transport dictates a water location so that the boats/ships can be used on demonstration trips. That means a location on a canal or river, or in a port for larger ships. This is perhaps the failing of the National Maritime Museum in that the exhibits are static with only The Cutty Sark nearby next to the River Thames (even so it is in a dry dock). (see here for more information). It has to be admitted that along the Thames from Westminster to Tower Bridge there is a collection of historical ships which are underappreciated. Also gems are hidden away in such places as St.Katherine´s Dock. One of the best places without doubt is the National Waterways Museum which claims to have the largest collection of canal boats in the world. Moreover, it is sited in the old docks so the environment is in itself a very important part of the museum. Trains run on rails which mean stations for passenger access. If the trains are used for demonstration purposes then sections of land/rail are needed to run them. That is why the vast majority of rail museums are heritage railways. The exception is The National Railway Museum in York, but this does have access to the main rail lines and does offer demonstration runs from time to time. From this what do we ascertain? The transport heritage of this country is divided into three components.1)The physical buildings where the actions took place. 2)The machines which were used to put into effect the desires of the original patrons. 3) The paraphernalia (memorabilia) which made these great enterprises workable. This building is situated next to Warrington Central railway Station. It was part of the Cheshire Lines Committee (CLC) grouping of rail companies. It laid derelict for many years but has now been resurrected as an apartment block. The most important thing is that the original façade has been maintained. It could remain as such, but would not some people of future generations be interested in knowing the origins of the building? The original façade tells us so much. "The Cheshire Lines", "The Great Northern Railway", "The Midland Railway", "The Great Central Railway". All of those in themselves say a lot about which we know so little. Would we not, or should we not provoke more interest in the meanings of those names? That is how we view our history and heritage.What has been mentioned is one building outside London when over the years we are accumulating many relevant and interesting buildings to increase our heritage. There are many places of historical railway importance starting with Stockton and Darlington, and Liverpool Lime Street and Manchester Victoria. To place a museum at Rainhill (The Rainhill Trials of 1830) on that Chat Moss Line is a non-starter but efforts more important than just a commemorative plaque should be made. If we consider just London who would doubt that the (renovated) St.Pancras or Kings Cross stations are jewels to be nutured. Broad Street has disappeared but Liverpool Street is much improved even though most of the improvement is thanks to the commercial development of the station. Paddington is more devoted to its "Bear" than anything else, Marylebone is small but improving. Moorgate, Fenchurch Street, Bank, Cannon Street, Holborn Viaduct (City Thameslink), Charing Cross, Waterloo, London Bridge, Victoria, and Euston (the 1960s utilitarian building which did no harm but provided no benefit and as such is now destined to the scrap heap because of HS2.). All this is not to say that there are inumerable rail stations and even bus stations outside London worthy of note apart from the already mentioned ones. However, we come to the point of this article. Memories, rememberences, where things happened, why they happened and what happened afterwards, and with what. To use the London examples again. Why was Victoria built on the north bank of the Thames while Waterloo was built on the south bank? Why was there no through mainline station in the capital as there is in Berlin and other cities? These are questions which you probably cannot get answers to while you peruse through a station, or do not want to take the time, on your way to your destination. But what of these termini themselves, what can they offer? 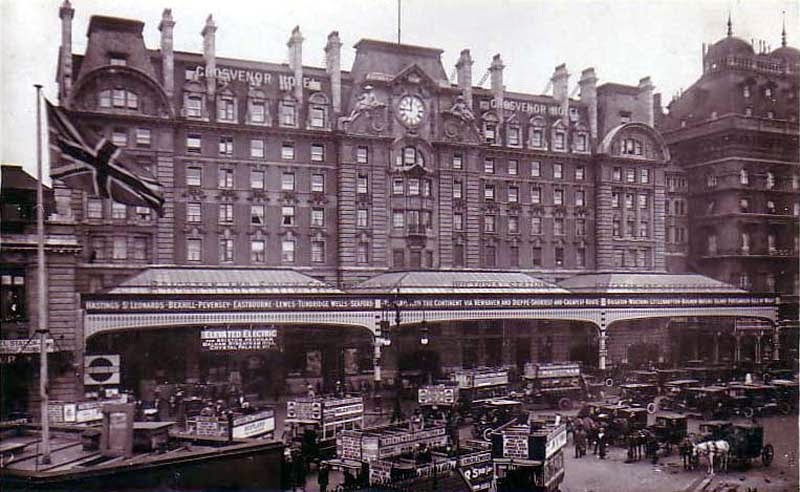 This façade of Victoria Station from about 1900 is very different from the present one. The list of destinations is very appealing. "Hastings, St.Leonards, Bexhill, Pevensey, Eastbourne, Lewes, Tunbridge Wells, etc., the Continent via Newhaven and Dieppe "etc. This photograph in itself is a jewel. Is it not itself a selling point, an advertisement? Of course, it is. The façades of other stations were similar, showing/advertising the destinations to which one could reach by using the services of the incumbent railway company. Blackfriars, Cannon Street, Waterloo and so on provoked the delights of travel to far flung destinations which were just waiting to receive the inspired tourist. To come to the point of the title of this article we have to look at the termini stations in London (and elsewhere).Can they provide us with an inspiring insight in to the development of our transport system? Of course they can. Why not make these iconic buildings/destinations living musems? 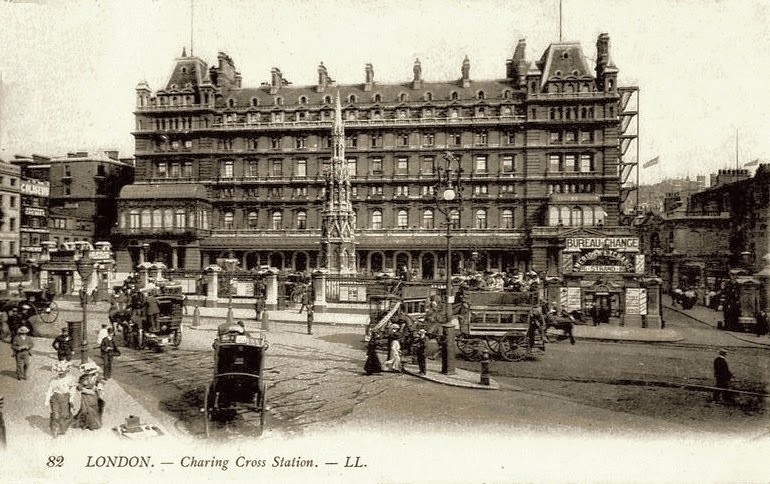 If we just limit ourselves to just the two aforementioned stations in London, Victoria and Charing Cross, we will see that there is a whole quantity of historical information about the two sites. These two examples became members of the Southern Railway after 1923 and of British Railways Southern Region after 1948. The reorganisation of British railways into more profitable operating groups meant that these became part of Network South East from 1982 to 1994. After the franchising/privatisation of the British rail divisions into companies the enterprises passed into different hands such as Connex and now Southern. These, of course, were just a few of the companies that used the facilities set up by the original operating rail companies. However, with just the mention of those two stations is that not sufficient to realise that there is a lot of history in our every day commuting life? If you look at the other stations then you realise the extent of the history of each station. For example, Euston: the London and Birmingham Railway, The London and North Western Railway, the London Midland and Scottish Railway, the London Midland Region of British Railways,and after privatisation the operating companies became eventually Virgin Trains and London Midland. The story in itself of the development of the operators at these stations is fascinating. However, that in itself is not sufficient. We need to see and know about all the layouts, workings and means to achieve the ends which were used at each station. Physical material will be limited because you cannot park engines, coaches, carriages and wagons in the station as they occupy too much space. 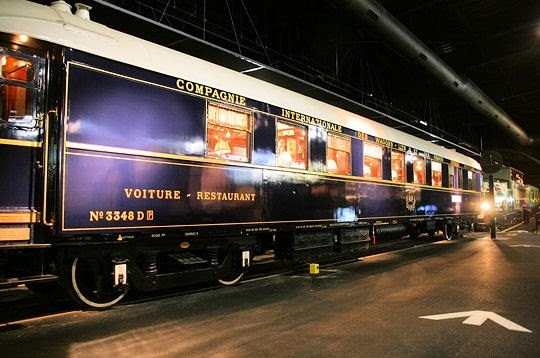 That is the function of the Big museums and Heritage lines but the odd carriage, such as one of the above, could well prove a forecourt attraction. On the other hand you can provide a lot of memorabilia which refers to the every day workings on or of a line or station. and of course, drawings and photos and so on. 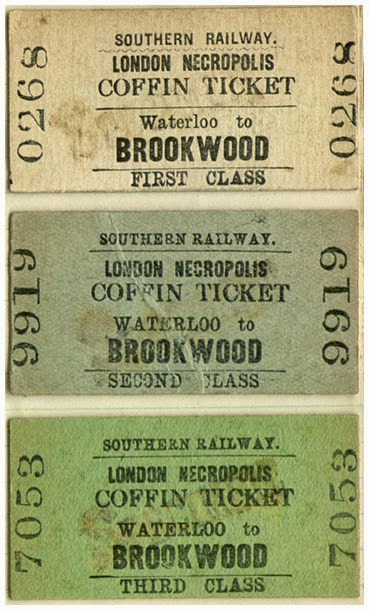 Who would have imagined that you would need a ticket for a coffin to transport from Waterloo to the cemetery? Even in death there was first, second and third class. Of course, that is but one example of the artefacts on offer but there are thousands more. In short such a terminus could house a museum to the origins and workings of that station, that line and the companies which operated from there. then it could be easy to gain access to all the documents related to the lines and the companies, from the Acts of Parliament permitting the setting up of the different lines to the documents setting up the different operating companies. It should be emphasised that though the London termini offer the greatest opportunities, other stations in other locations can offer very much such as the aforementioned first stations in the north of England. Bus stations should not be forgotten. London´s Victoria Coach Station is a case in point. Others should be remembered - was not Cheltenham once the biggest bus/coach interchange in the West Country in the 1950s and 1960s with Red & White and Black & White providing most of the connecting services? Midland Red in Birmingham, North Western and Ribble in Manchester, Crosville and Ribble in Liverpool - the list could go on. The advantage of all this is to make the architectural environment meaningful, to provide easy access to the artifacts and to educate interested visitors and local residents about their home areas. Now is the time to put these ideas in motion and not let them be lost to future generations.